“They were scared and their mom protected them." 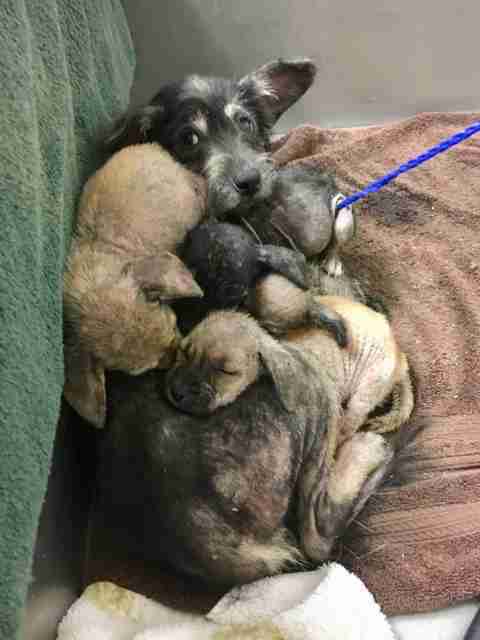 When Heidi and her four puppies were found living on the streets of Dallas as strays, they were in an absolutely horrendous state. They were all extremely skinny, infested with worms and covered in a severe case of mange and other skin infections. 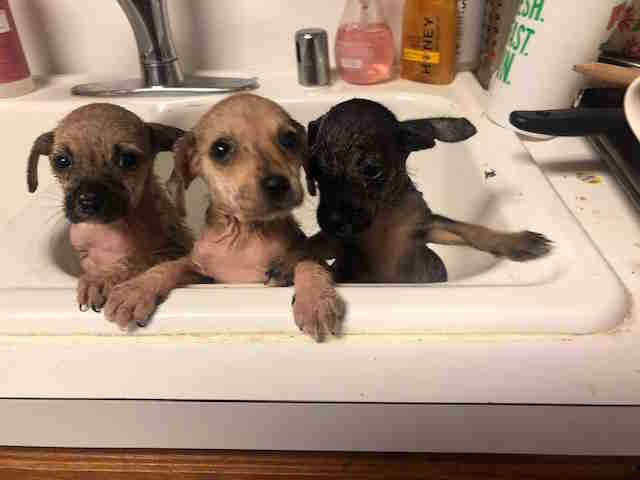 They were rushed to a local shelter immediately, but unfortunately, they were in such terrible condition that one of the puppies didn’t make it through the first night. 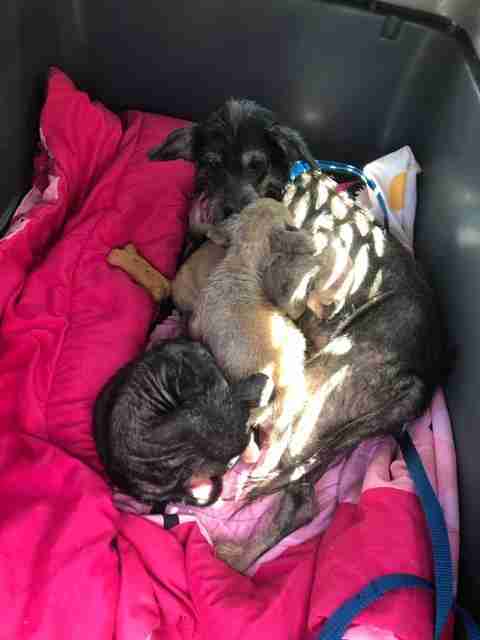 Poor Heidi was sick and weak herself, but she still did everything she could to comfort her puppies and keep them safe. 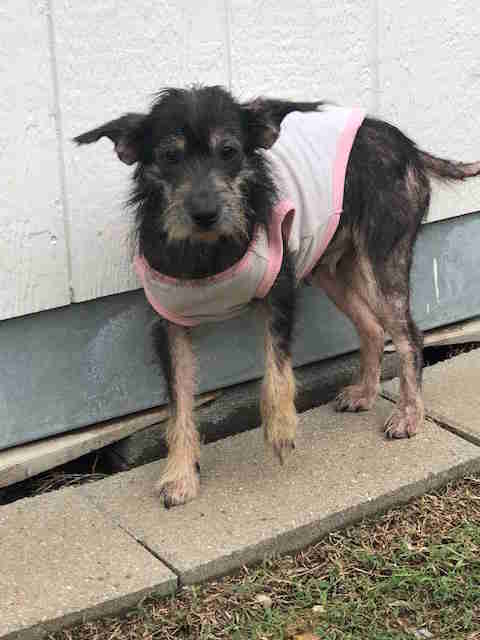 The shelter knew the little family needed specialized help and care, so they reached out to Dallas DogRRR to see if the rescue could take them in. 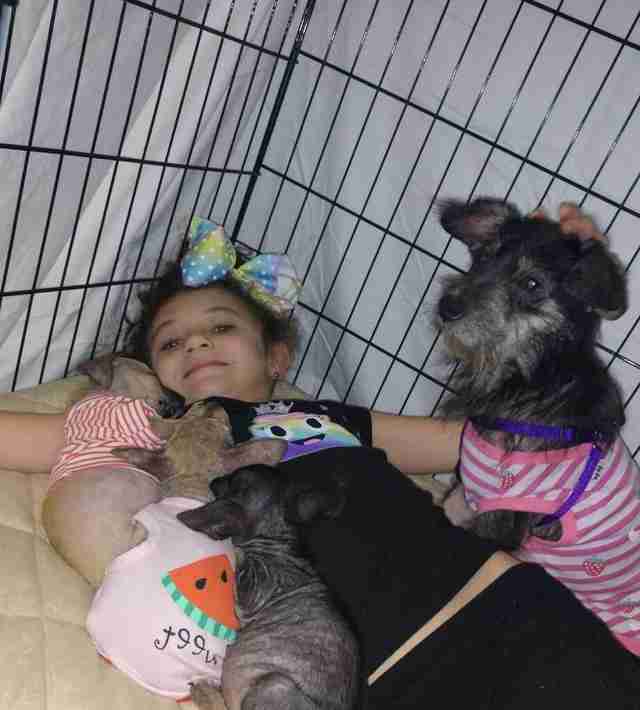 Knowing the family might not make it without the rescue’s help, Dawson agreed to take them in and brought them all back to her house to foster them temporarily. As all four dogs were girls, she decided to name them Heidi Klum, Cheryl Tiegs, Elle MacPherson and Cindy Crawford. When the dogs first arrived in their foster home, they were a mess. The puppies needed round-the-clock care, and poor Heidi would cry constantly for attention and from all the pain she was dealing with. After being seen by a vet and being treated for all of their various ailments, Heidi and her puppies started feeling much better, and thus began to come out of their shells a little. 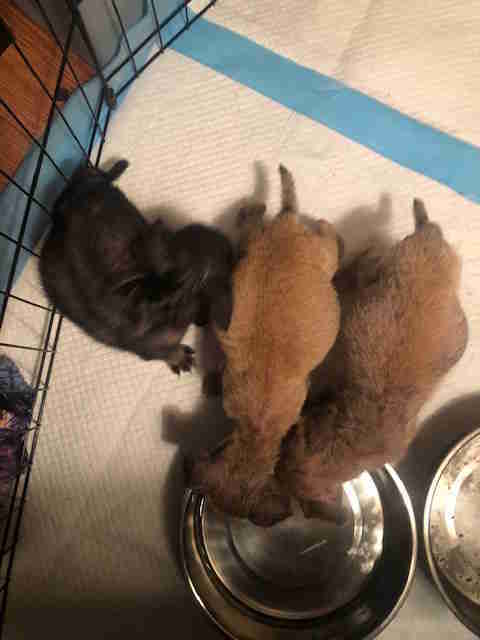 During the week they stayed at her house, Dawson had to watch the puppies very closely to make sure they were doing OK, as they were initially so sick and weighed next to nothing. Eventually, they seemed to be out of the woods, and were recently moved into a permanent foster home. The puppies are now becoming more and more playful each day, and Heidi has transformed into the sweetest, most loving dog who seems so grateful to everyone around her for rescuing her and her beloved puppies. It will still probably be another month before Heidi and her puppies are medically cleared for adoption, but until then, they’re all safe and sound in their foster home, enjoying their second chance at life. To help other dogs in need, you can donate to Dallas DogRRR.